General Motors Canada sold 30,948 vehicles in April, an increase of 16 per cent over the same month last year. It was also the automaker’s best April on record since 2008. The sales also marked the fourth consecutive month of sales growth for GM Canada. Utility vehicles continued to drive the automaker’s sales. Combined sales of GM Canada’s small and compact utility vehicles were up 41 per cent in April. Pickup sales also gained in April, up 20 per cent year-over-year. 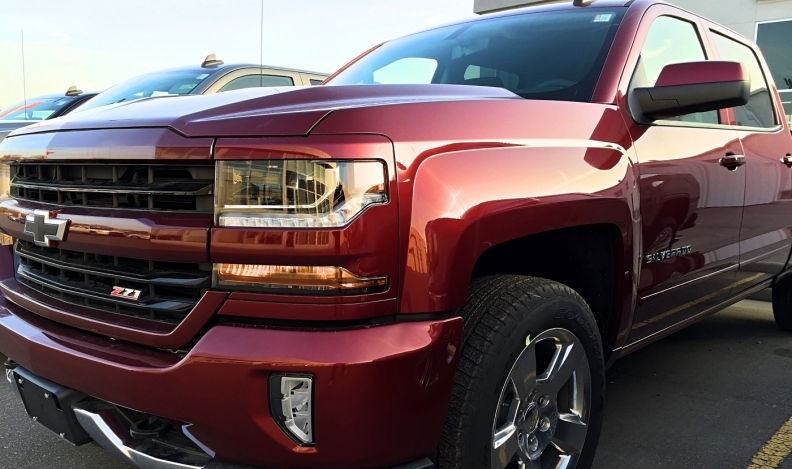 truck sales were led by the Chevrolet Silverado (up 27 per cent), GMC Sierra (up 19 per cent) and Chevrolet Colorado (up 10 per cent). Even the automaker’s cars sales increased 6.5 per cent, largely bucking the North American trend of slumping sales in that segment. GM’s Canadian sales were in stark contrast to those in the United States, where they slipped one per cent. It was the automaker’s first U.S. decrease since January. Meanwhile, FCA Canada's sales went the other direction. The automaker reported April 2017 sales of 27,373 vehicles, down nine per cent compared to sales the same month a year ago. A surge in Dodge Ram truck sales, which were up 10 per cent over April 2016, couldn’t offset a 35 per cent decline in Jeep brand sales. The Ram brand overall, which includes its ProMaster van line, posted an 11 per cent sales increase. The Canadian-made Chrysler Pacifica minivan had its best sales month since launch, with 757 sold. Overall Chrysler brand sales were up 31 per cent versus the same month last year. For a complete recap of April sales, which were down 1.6 per cent, go here.